I'll try joining the forum first perhaps.....OCD....nah, you're probably in your 50's at least and wear a cap, it goes with the territory!! Thanks Nige005 searching is all a part of the fun I think. Needing your thoughts and ideas on my idea to buy an XK8 or R. I am thinking of hanging on to it until its value increases as it looks like people are saying this may be a future classic. Apart from that it looks like a great toy so even if it doesn't invest well it'll be good fun at least. So...Should it be an XK8 or an XKR, should it be a convertible or hard top? I might be way too late for this repl, and by my own admission I havn't read ALL the replies, but maybe I could mention something here that might help. I have a 53 plate x-type 3.0 petrol with the sat nav screen. I, however, wasnt too enamoured with the sat nav and tried to find ways of using my phone, an Android, to transmit the pictures from phone to screen...ANYWAY... A company local to me specialise in all kinds of audio upgrades and car electrics. The company is called Absolute Audio of Amesbury in Wiltshire. They put me in touch with a company called Navtv heres the web address http://www.nav.tv/ They might be a good company to chat to. As far as my quest was concerned I could do what I want to do but I would need to change my Nexus 6 phone to a Samsung Sx at least one with the tv option in the settings. The Jag kit from the above company is around £300 and fitting using Absolute Audio somewhere near £100. Didnt get it done as I like my Nexus!! Hey, check this out I've had a chat with a car audio specialist near my home, Absolute Audio, they do some really stupid stuff in after market fits and they had a look at the video. They suggested that it was some kind of device that interrupts the signal and tells the screen "Its ok, its a Jaguar signal being recieved" Ok, that was simplistic, but I understood why it worked on that basis. SO....they suggested I speak to a company that does that kind of thing called NavTV...email sent! According to their website they have some kind of device that might do the trick. Watch this space!! My problem is that if I buy an item that has something on it that is supposed to work, I want it to work. I like sat navs because it gives me live info and time to destination etc, I'm pretty good with sense of direction. Because my X-Type has a sat nav I want it to work!! I've had a look at getting a double din touch screen kind of thing. I spoke to Absolute Audio in Amesbury today. Sadly, they think that I might lose the ability to manually control the A/C...sigh...I would also like to be able to use Bluetooth phone through the audio, so the double din replacement might do it. What I've learned from you kind respondents is that you're all rubbish at giving me the words I want to hear "Yes, there's a great Jaguar upgrade that will simply slot into your x-types fascia to replace the current system"...Thanks guys!!! 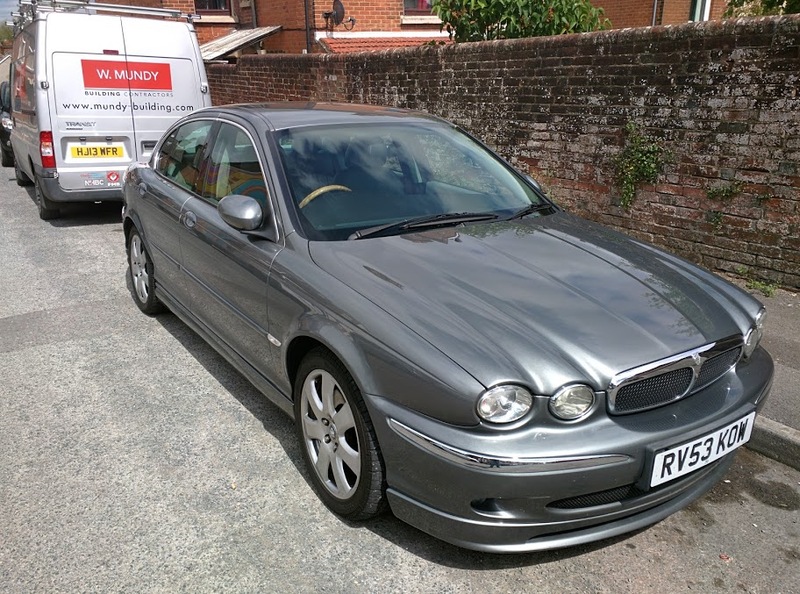 Ah well its still a Jaguar and I still love it!